Bag lady or shoe addict? I guess I am both (like most of the girls I know!). Although I cannot afford yet the likes of Hermes, I loove collecting bags. I carry a big bag in the office. My office bag is usually big - it contains my stuff, kikay kit, my lunch bag, and sometimes shoes (heeled shoes) which I only bring to the office while I commute in flats. I love statement bags which add character to an ensemble. I don't really care if it is branded, or not - if I like it, I buy it, whether online or in a physical store. I easily fall inloved with clutches and purses because they symbolize femininity and class. Imagine the queen, the princess and the duches, walking down the red carpet with that tiny purse or clutch. The same with celebrities, models and even famous fashion bloggers. It gives character and completes the look. Oftentimes I think it is better to walk with a clutch bag in your hand, than a man in tow. Although I don't attend awards night, I use clutches whenever I attend worship services and few chosen events. I know worship services only last for an hour, but I keep more than my offering in my clutch - powder, tissue, lip gloss, alcohol are the basics. And as for events, we wouldn't know how many cameras would be flashing our way. So it is nice to have a statement bag with you. I also fell inloved with this croc-skin clutch bag with chain. I like it because it is purple - which they say is the color of the year. 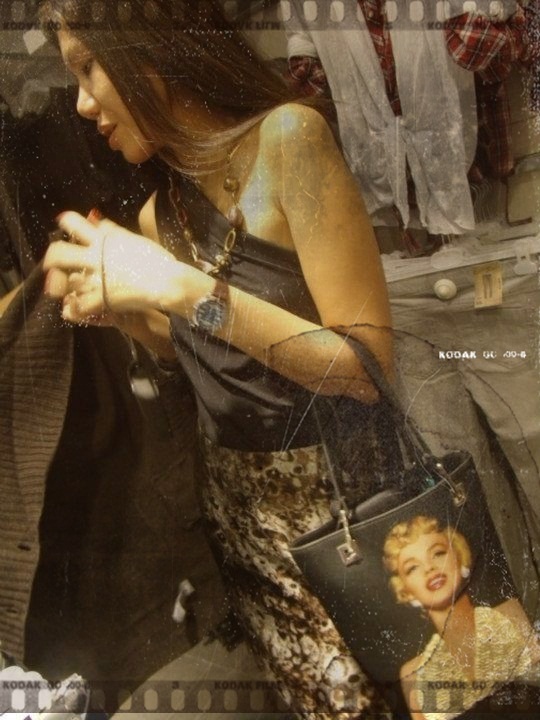 My favorite is this Marilyn Monroe bucket bag I bought online. And my love just grew bigger and bought two more. The one is still in the US, waiting to be shipped here in Manila. Here is the other one which is also one of my favorites..
Reading through this blog, you will get an idea what kind of bags I adore. 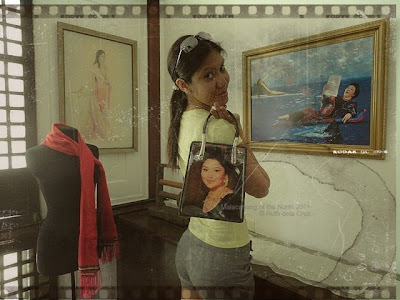 I thought of our trip in Ilocos and found this Imelda Marcos bag. If only I am not afraid of death penalty and mug shots, I would steal this piece - but I am afraid the government might declare Martial Law because of me. Now you know how I behave when I fall inlove with bags.. So the first time I checked out the Accessorize store and saw the Union Jack flag clutch, I kind of feel small hearts floating above my head. This is looove! Pure love. The mantra, what Ruth wants, Ruth gets kicked in. Surprisingly, the tag doesn't show any currency in Philippine Peso. Before I jumped with joy and head to the cashier, I have to know if my budget can accommodate such beauty. The staff told me it's worth Php2,400. The hearts popped out one by one. I then wished I have a sugar daddy, or a fairy godmother, or a lamp with genie. Anyone who could grant my wish - to have that bag. You may call me cheap; maybe I am. At that time, I was thinking what else I could buy with that worth of money. Experiences told me that's the same price I paid for my plane ticket to Hong Kong. Thinking some more I thought Accessorize is a new brand and I am not certain about its quality. Will that Union Jack clutch bag stay faithful for years? So I left the place and just sighed. But my loove for that design didn't die. When I finally decided on buying the clutch and trying the Accessorize for the first time, the item had been sold out. I found myself looking for the same item online, but I couldn't find it. I so needed to have it, that I even bought this cute purse resembling the same design (just don't mind the stars, please). I just want to fill the gap and feel the satisfaction of owning such a clutch - but I wasn't satisfied. And I know the clutch bag is a keeper because I am not the only one lusting over it. We can form a groupie! It's not yet the end of the world. God is good - He is showering me with blessings, and giving me guidance even in shopping. 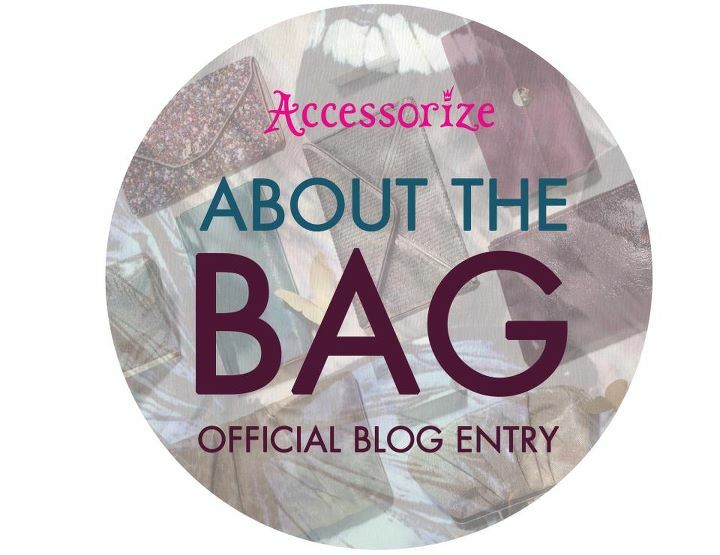 Accessorize has just announced the All About Bags Annual Clearance Sale! Since I work in the night shift, there is no way for me to swing by the nearest Accessorize shop. It is either, the stores are already closed at night, or they haven't open yet in the morning. So I asked my friend (a guy) to buy the Union Jack clutch bag for me. I know it is going to be a best-seller, especially that alot of fashion bloggers had blogged about it. He checked out the store in Galleria and unfortunately, the piece has been sold out. But I was not losing hope. On the morning of Saturday last week, after attending an event in Shangri-la, I dragged another blogger to the Accessorize Shangri-la store. On my way to the 3rd floor, I was praying to Allah, Buddha and all gods and goddess that the Union Jack clutch is still there. It is as if I were walking down the aisle heading to the store. I saw the sign - 50% off!! A few more steps and I was inside - I saw the sequined bag and recognized the design - I was not blinded! I snatched it - there were only three pieces left. Being a practical buyer that I am, I checked it and rechecked before asking for the price - if you are a regular in Accessorize, you will know that their tags are not in Peso). Asking for the price is like asking for a woman's hands. I have that weird feeling inside the store. It's 50% off at Php1,200!! Thank you to plastic money for processing my order. So there you go - I have the paper bag which means I got the precious clutch bag inside! Owning it is like having a girl say YES to me, or like having my boss sign my increase! It is the first time I am opening the paper bag. It has been a week, and I just let it sit in my room - content that I have it, it's finally mine. It is even wrapped - makes me think I just received a gift! Why I love it so much? It is not just a clutch bag, but a sling bag too! There is a zipper inside where I can keep my card holder and money - some clutch bags are just open with only snap closures. I like that this bag has zippered pocket which also secures my belongings. A pack of sequins just incase I get rowdy when going out! I can play the county girl sewing those sequins. I love that Accessorize also thought of maintaining the bag in good condition. And yes, there is a tag inside - this one is real Union Jack clutch bag from Accessorize! Don't we all love happy endings?! 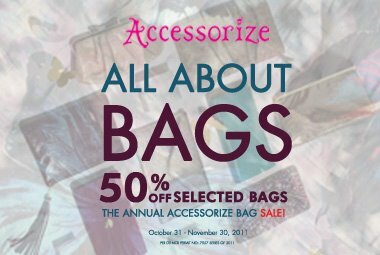 I might swing by Robinson's Place Manila on Monday to check out and hopefully buy more bags from Accessorize! The store is moving to the Ground Level of Midtown Wing. 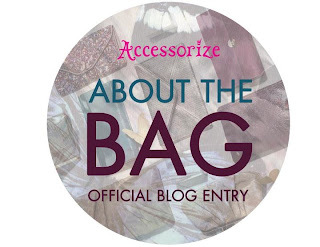 We still have 4 days left to haul and buy all the nice bags we love from Accessorize! I'll see you at the cashier's area!